U16 juniors may claim Red, Blue or Black Arrow awards. The colours are relevant to the age group and juniors may shoot for an award in an age group above, but not below their own. Once a claim for an age group is achieved, a claim for lower awards down to their age group can be made. 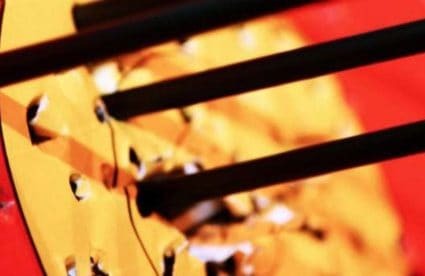 Four rounds are required to be shot to make a claim in any calendar year. At least one must be a WA/Metric round and one must be made at an open competition.  The National Handicap Scheme is administered by each participating Archery GB club and is open to all members shooting outdoors. It is awarded by a club to the club member who achieves the greatest handicap improvement over a calendar year. 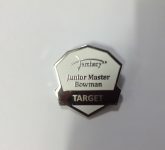 The holder of the medal usually wears it on Club Target days. Club Records Officers keep a record of each round shot and therefore any scores achieved at tournaments outside the club, must be submitted to the club Records Officer. A list of handicap improvement winners is published by Archery GB annually. The medal is loaned to the club and owned by Archery GB. Junior’s U16 may claim Red, Blue or Black Arrow awards. 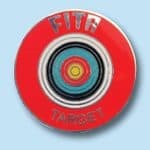 The colours are relevant to the age group and juniors may shoot for an award in an age group above, but not below their own. Once a claim for an age group is achieved, a claim for lower awards down to their age group can be made. 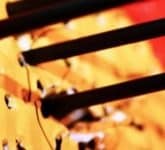 Four rounds are required to be shot to make a claim in any calendar year. At least one must be a WA/Metric round and one must be made at an open competition. 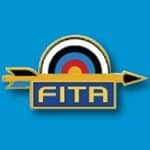 The defined year for indoor classifications is 1 July to 30 June and applies to recurve and compound archers. There are no separate classifications for juniors shooting indoors. Qualifying scores and rounds are in the Shooting Administrative Procedures. The best three qualifying scores must be achieved in a calendar year at UK Record Status tournaments, and a claim form plus supporting results sheets submitted to Membership Services by 31 December. 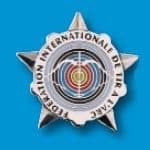 Once an archer gains a classification, a badge is sent to the archer and their title remains for one year after it was gained. Archers classified as Master Bowman and Grand Master Bowman are invited to the UK Masters national event. Claims for Bowman, 1st, 2nd and 3rd Class are administered by Archery GB clubs. The list of scores appropriate to gender, age, round and bowstyle are in the Classification Tables of the Shooting Administrative Procedures. 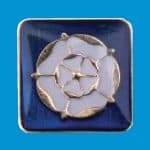 Progress Awards are designed to provide beginners and younger archers with awards for developing their archery skills both indoor and outdoor. The junior age groups are aligned with educational key stages and the scheme can also be used as an adult beginner incentive. It is open to all archers and is operated by archery clubs, schools and youth groups etc who practice target archery. There is no requirement for recipients to be Archery GB members although many will be. Claims are made via clubs and organisations registered on the scheme. Open to seniors and juniors when shooting at a UK Record Status York, Hereford, Bristols I-V tournament that also has Rose Award status. Claims are made at the record status tournament and the round shot must be relevant to age group. Claimed at outdoor competitions for Seniors and Juniors who shoot six arrows, one after another, into the gold during one end with a recurve or compound. The Three Gold badge is open to archers who shoot three arrows, one after another, into the gold during one end with a longbow. 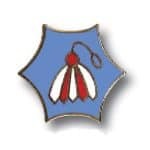 The Six Clout badge is for six arrows shot one after another, at one end into the Clout i.e. the 5 zone of an Archery GB Clout tournament. Claims may be made either at a record status tournament or club Target Day. 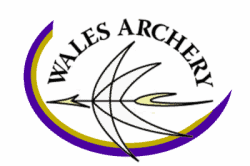 WA Arrowhead awards is score based and open to seniors and juniors when shooting recurve, barebow or compound at a UK Record Status field tournament that also has Arrowhead Award status. Claims are made at the record status tournament. 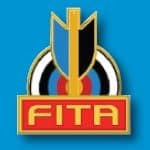 Red and Gold feather awards are available, testing shooting skills across different distances and different knowledge sets. 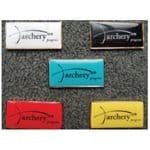 These are designed for beginners under 12 years old and some disabled new archers. It is up to your coach to decide when you are ready for this award, WA does not require proof of age or disability. WA Silver Stars. 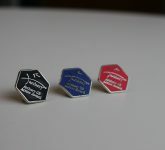 Badges for recurve archers are shield shaped, while badges for compound archers are round. 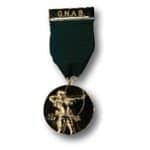 WA Silver Star awards are for U17 (Cadet) or 50 or over (Masters) shooting the appropriate Cadet or Masters round and shows a silver Star with coloured silver writing. These awards can only be claimed at World Record status events. 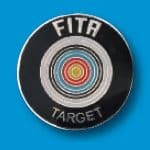 WA Silver Target awards are for archers U17 (Cadet) and archers 50 or over (Masters) shooting the appropriate Cadet or Masters 60m round. 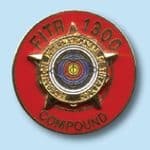 The badge is the same colour and shape as the Target badges but has silver coloured writing. These awards can only be claimed at World Record status events. The WA silver star badge can only be gained at a World Record or WA Award Status event shooting a cadet round. The WA Silver Stars are for archers under 17 (‘cadets’) shooting a cadet round. Badges for recurve archers are shield shaped, while badges for compound archers are round. WA Target awards may be achieved when shooting other WA rounds at World Record Status tournaments.